The most exciting game was a derby match between two local teams from Rabat: FAR (#1) and FUS Rabat (#4). FUS Rabat was crushed at home by 34 points 51-85 and even the advantage of their own court did not help. Undefeated FAR (7-0) have an impressive series of seven victories in a row. Defending champion maintains first place with a perfect record of 7 victories in a row. FUS Rabat lost fifth consecutive game. They keep the fourth position with five games lost. Both teams do not play next round, which will be an opportunity for some rest. An exciting game between Top Four teams was played in Meknes. Second ranked AMIB faced 3rd placed CODM. Guests from (6-1) defeated host CODM (3-3) 74-67. It ended at the same time the two-game winning streak of CODM. The victory was the fifth consecutive win for AMIB. Newly promoted AMIB maintains second place with 6-1 record behind leader FAR. CODM at the other side keeps the third position with three games lost. AMIB will play against CET (#6) in Tetouan in the next round. CODM will play on the road against ACK in Belksiri and it may be a tough game between close rivals. An exciting game between Top Four teams was played in Belksiri. Second ranked CRA faced 3rd placed ACK. 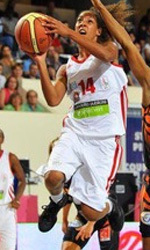 Guests from Al Hoceima (7-1) defeated host ACK (3-4) 49-44. CRA keeps a position of league leader. Loser ACK dropped to the fourth place with four games lost. CRA will have a break next round, and it should allow them to practice more before next game. ACK will play against CODM (#3) and it may be a tough game between close rivals. The most exciting game was a derby match between two local teams from Rabat: FAR (#1) and FUS Rabat (#4). FUS Rabat was crushed at home by 34 points 51-85 and even the advantage of their own court did not help. FAR (7-0) have an impressive series of seven victories in a row. Defending champion maintains first place with a perfect record of 7 victories in a row. FUS Rabat lost fifth consecutive game. They keep the fourth position with five games lost. Both teams do not play next round, which will be an opportunity for some rest. 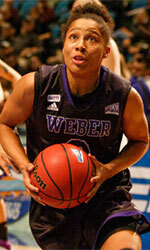 The game had a very big importance for second-ranked AMIB as it allowed them to take a leadership position. AMIB smashed 5th ranked Wydad at home 89-50. AMIB (7-1) have an impressive six-game winning streak. As mentioned above they are alone now at the top position. Wydad at the other side, also newcomer in the league, keeps the fifth place with eight games lost. Wydad will have a break next week, which should allow them to rest in order to get back on the winning path. AMIB will try to continue on its current victory against fifth ranked Wydad in Safrou. Leading CRA (7-2) recorded its second loss in Al Hoceima. Hosts were edged by third ranked CODM (4-3) 68-67. It ended at the same time the two-game winning streak of CRA. It was a key game for the second position in the league. CODM moved-up to second place, which they share with Rapide. CRA at the other side dropped to the second position with two games lost. CODM will have a break next round, and it should allow them to practice more before next game. CRA will play again at home against CODM and it may be a tough game between close rivals. An interesting game for KACM (3-3) which hosted in Marrakech second-best Rapide (4-3). Third ranked KACM had an easy win 73-49. KACM maintains third position with 3-3 record having six points less than leader FAR. Newly promoted Rapide keeps the second place with three games lost. They share the position with CODM. KACM will again meet at home league's second-placed Rapide in the next round and it will be for sure the game of the week. Rapide will have a break next round. The game had a very big importance for second-ranked CRA as it allowed them to take a leadership position. CRA smashed 5th ranked Wydad in Al Hoceima 63-41. As mentioned above they are alone now at the top position. Wydad lost fourth consecutive game. Newly promoted team keeps the fifth place with seven games lost. Wydad will play next round against CET trying to get back on the winning streak. CRA will try to continue on its current victory against fourth ranked ACK in Belksiri. The game between Top Four teams took place in . Second ranked host Rapide (4-2) defeated 4th ranked FUS Rabat (1-4) 54-48. Newly promoted Rapide maintains second position with 4-2 record having just three points less than leader FAR. FUS Rabat lost fourth consecutive game. They keep the fourth place with four games lost. Rapide will have a break next round, and it should allow them to practice more before next game. FUS Rabat's supporters look forward to an exciting derby game next round, where their team will face at home their local rival from Rabat FAR. The game between Top Four teams took place in Marrakech. 3rd ranked host KACM (2-3) lost to top-ranked FAR (6-0) 71-54. Undefeated FAR have an impressive six-game winning streak. Defending champion maintains first position with 6-0 record. KACM at the other side keeps the third place with three games lost. FAR's supporters look forward to an exciting derby game next round, where their team will travel locally in Rabat to the arena FUS Rabat. The game between Top Four teams took place in Marrakech. 3rd ranked host KACM (2-3) lost to top-ranked FAR (6-0) 71-54. FAR have an impressive six-game winning streak. Defending champion maintains first position with 6-0 record. KACM at the other side keeps the third place with three games lost. FAR's supporters look forward to an exciting derby game next round, where their team will travel locally in Rabat to the arena FUS Rabat.